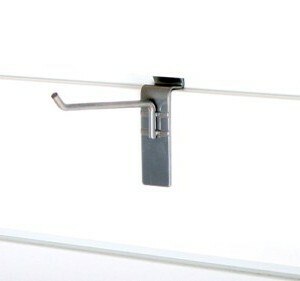 Designed to work with the Proslat PVC slatwall, this 10″ shelf bracket can be used to support solid shelving (eg. melamine) or use it to keep your recycling bins off the floor. 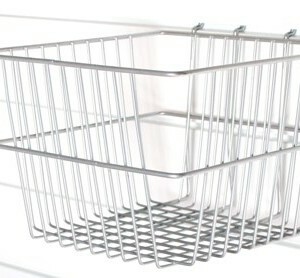 Designed to work with the Proslat PVC slatwall, this 12″ x 8″ basket can hold anything from bottles and cans to balls and rags. 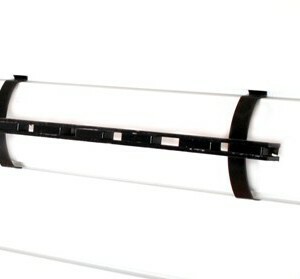 Designed to work with the Proslat PVC slatwall, this board rack can store your skateboard in the summer and snowboard in the winter…always easily accessible whenever you need them. 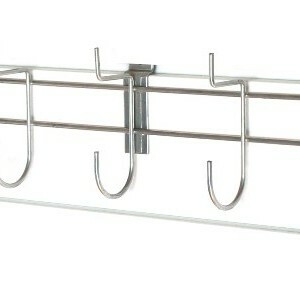 Designed to work with the Proslat PVC slatwall, this coat rack is great for outerwear you may not want in the house such as work overalls, wet snowsuits, rainy day gear…even umbrellas! 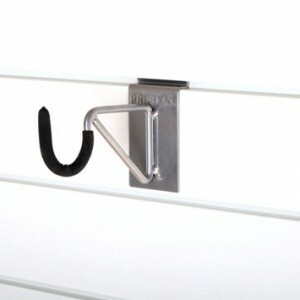 Designed to work with the Proslat PVC slatwall, this heavy duty U hook is great for storing items such as golf and hockey bags, hedge trimmers, chainsaws, and much more. 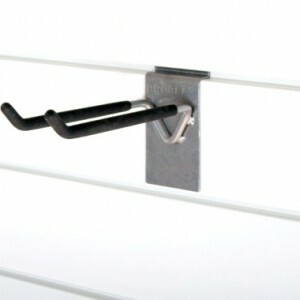 Designed to work with the Proslat PVC slatwall, this heavy duty 4″ double hook is a must have for any garage or workshop. 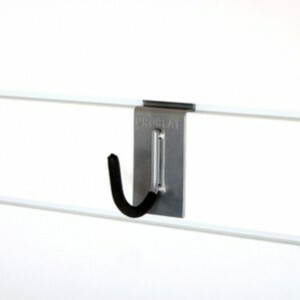 Designed to work with the Proslat PVC slatwall, this 4″ single hook is one of the most versatile hooks you’ll ever use. 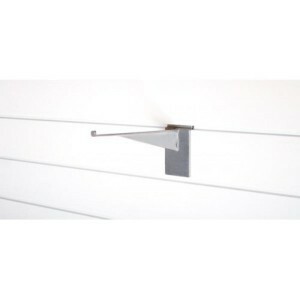 Designed to work with the Proslat PVC slatwall, this heavy duty 8″ double hook is ideal for storing power tools, shovels, long handled garden tools, and so much more. Designed to work with the Proslat PVC slatwall, this hose/cord holder keeps hoses, ropes and extension cords tangle free and off the floor. 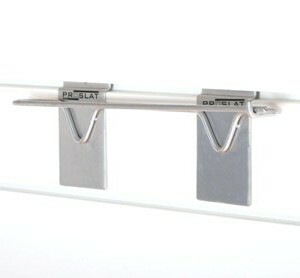 Designed to work with the Proslat PVC slatwall, this magnetic tool holder is ideal for keeping your steel hand tools within easy reach. 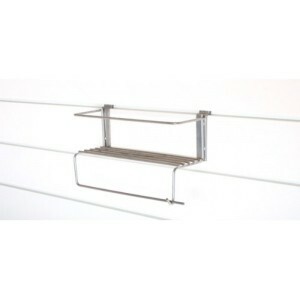 Designed to work with the Proslat PVC slatwall, this 12″x 24″ metal shelf is ideal for keeping a multitude of items (such as paint cans and tool boxes) off the floor. 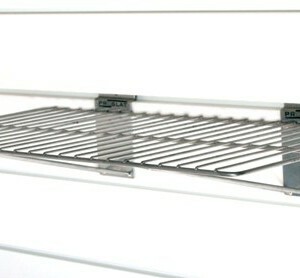 Designed to work with the Proslat PVC slatwall, this 8″x 24″ metal shelf is ideal for keeping a multitude of items (such as paint cans and tool boxes) off the floor. 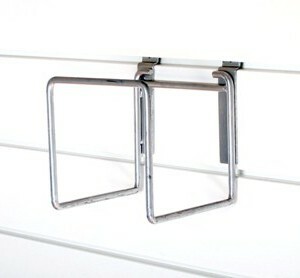 Designed to work with the Proslat PVC slatwall, this paper towel holder is a great place to keep paper towels handy for those quick cleanups. 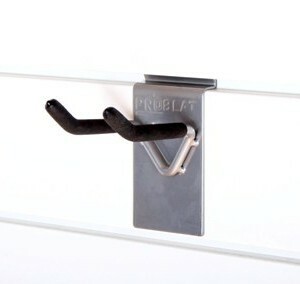 Designed to work with the Proslat PVC slatwall, this deep probin is the perfect size for storing items such as work gloves, rags, tie wraps, etc. 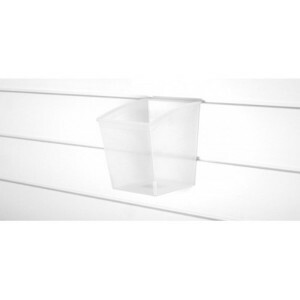 Designed to work with the Proslat PVC slatwall, this large probin is great for holding items such as cleaning products and oil cans….or anything you want to keep from dripping onto the floor. Move around at will to any position that best suits your needs.